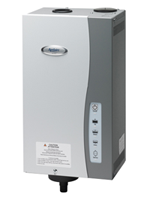 The Aprilaire Model 800 Humidifier is a whole-home solution that helps you achieve total comfort through humidity control. As a steam model, the 865 complements non-forced air heating sources and other specialty heating systems. It is installed by a local HVAC professional. 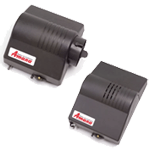 The Aprilaire Model 800 Humidifier is a steam humidifier designed for home applications where evaporative units are less practical.